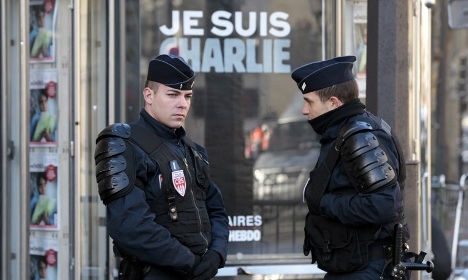 Two men, one with links to Islamic extremism, have been questioned by police after they were reported to have been watching the home of one of the surviving members of Charlie Hebdo staff. Laurent “Riss” Sourisseau, the publishing director of satirical weekly Charlie Hebdo, has been living under police protection ever since the January terror attacks in Paris. He escaped the massacre with a bullet wound to the shoulder, while 12 people around him were shot dead. Earlier this month, witnesses reported seeing a man on a scooter taking pictures of the Frenchman’s home, and the next day, another man with another scooter was reportedly seen doing the same.